The powerful Palestinian Islamist group Hamas is calling for a fresh uprising against Israel after US President Donald Trump recognised Jerusalem as the capital of Israel. Trump reversed decades of US policy to recognise Jerusalem as the capital of Israel, upsetting the Arab world and Western allies alike. In a speech in Gaza, leader Ismail Haniyeh said "We should call for and we should work on launching an intifada in the face of the Zionist enemy." "We have given instruction to all Hamas members and to all its wings to be fully ready for any new instructions or orders that may be given to confront this strategic danger that threatens Jerusalem and threatens Palestine," he continued. 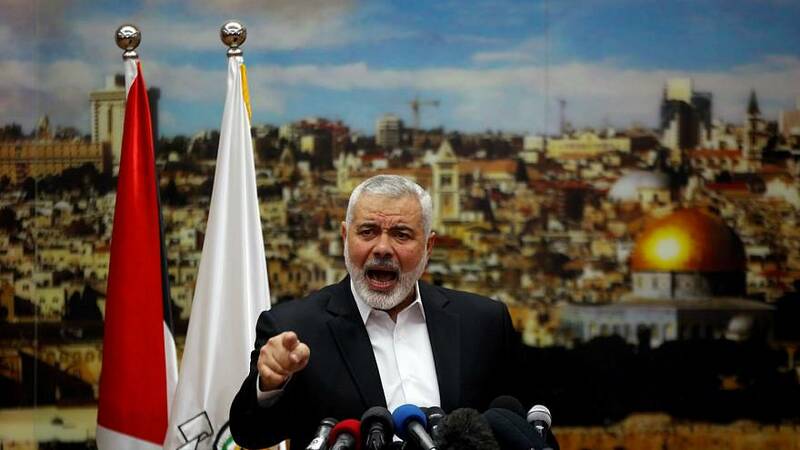 Haniyeh, who was elected the group's overall leader in May, urged Palestinians, Muslims and Arabs to hold rallies against the US decision on Friday, calling it a "day of rage". "Let December 8 be the first day of the intifada against the occupier." "United Jerusalem is Arab and Muslim and it is the capital of the state of Palestine, all of Palestine," he said, referring to territory including Israel as well as the Hamas-controlled Gaza Strip and the Israeli-occupied West Bank. Haniyeh also called on Western-backed Palestinian President Mahmoud Abbas to withdraw from peacemaking with Israel and on Arabs to boycott the Trump administration. "It should be announced that the so-called peace agreement was buried, once and for all, and that there is nothing called a partner for the Palestinians in peace." How is Hamas viewed internationally? The group, which has fought three conflicts with Israel since 2007, is considered a terrorist organisation by the US and Israel. It does not recognise Israel's right to exist and its suicide bombings helped spearhead the last intifada, from 2000 to 2005.